Our site provides information for online players in the international and United States poker markets. The articles on this site include a compatibility guide for desktop and mobile computers, including Mac and iOS optimized sites. We also present daily news on the worldwide poker industry, including famous card players, online poker news, and general gambling subjects. Our main focus is to discuss the poker laws around the world, including current legislation and legal cases. Online poker is legal in most parts of the world. Players need to know whether their real money site is regulated, unregulated, or banned where they live. We'll provide a guide to the licensing on the national and state levels for players around the globe. Gamblers reading this site will have the latest information possible on their poker hobby. Information on where online poker is legal or illegal. Expert reviews of the top regulated poker sites for your country and bonus offers. Comparison guide for the easiest sites, biggest sites and sites with low minimum deposits. Payment guide outlining which poker rooms accept which payment methods. Reviews for legit and legal poker rooms! It is important for American poker players to know their state gaming laws, so we have full reviews of US poker laws in this section. Or you can use our interactive map to the right to read the reviews for your state of residence. While we provide a complete discussion of online and brick-and-mortar poker laws, this guide includes a general discussion of gaming laws in every state in the USA. Just click on your state to view your state poker laws. 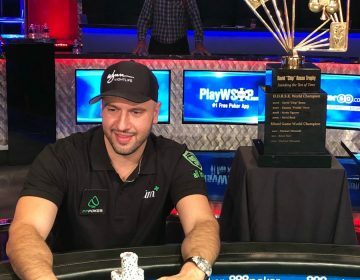 It was a historic evening at the 2018 World Series of Poker on Tuesday night. Is It Legal to Play Poker in Canada? It is legal to play online poker in many parts of Canada. Most Canadian gambling laws are determined by the provinces and territorial authorities. Ontario, Quebec, or British Columbia determine whether gambling is legal inside their borders. Each has its own approach to online gambling, with some operated by state-sanctioned gaming companies. To determine whether online poker is legal where you live, you'll need to look at the provincial and territorial laws in your area. Players often say that online gambling is a "gray area" under Canadian law. Michael Lipton, a gaming lawyer with the Dickenson Wright law firm in Toronto, said no such gray area exists in his opinion. Lipton said, "As far as I'm concerned, you as a player aren't committing any criminal offence by being in a position where you are engaged with an offshore operator playing poker, playing slots, or whatever the case may be." Like in other jurisdictions worldwide, gaming bans tend to punish the operators who accept real money play and not the gamblers who sign up for a site. No one has ever been prosecuted in Canada for gambling online, though that does not mean it won't happen in the future. Still, it is the gaming operators who are likeliest to be prosecuted, if a ban is ever enforced. Poker is legal in most places, though local laws can be a bit confusing. For instance, casino gambling is legal for people 19 and up in seven of Canada's jurisdictions, though the age is 18 or older in Quebec, Alberta, and Manitoba. Canada is a great deal friendlier to the online gambling community than the United States. As an example, Canada allows the Kahnawake Gaming Commission to exist within its borders. Not only does Kahnawake license online gaming sites, but it houses those sites' servers on their reservation near Montreal, Quebec. Is it Legal to Play Online Poker in the United States? The United States federal government says that online poker is legal under terms of the Unlawful Internet Gambling Enforcement Act (UIGEA). The UIGEA states that any form of gambling which was banned under the 1961 Wire Act is illegal under the UIGEA. From its passage in 2006 until late-2011, the US Justice Department interpreted the UIGEA to mean online poker, casinos, and sportsbooks were illegal. In late-2011, the US Department of Justice under Barack Obama received a question from the state attorney generals of New York and Illinois, asking for a clarification. The Department of Justice issued an opinion stating that online sportsbooks were illegal, but online casinos and poker were not. That set the wheels in motion for state governments to legalize, regulated, license, and tax online poker. The State of Delaware passed a law making online poker legal; Delaware's three horse racing tracks could launch websites. Nevada followed suit, legalizing online poker soon after. New Jersey passed a bill that legalized online poker and online casinos. In each state, those who held licenses for land-based gambling were allowed to launch online gambling portals. More states were expected to legalize online poker, but that has not happened in the past 3+ years. Pennsylvania has been closet to legalizing online poker, with one house of the legislature passing a bill. In fact, the 2016 state budget even included a line item for online poker revenues, because Pennsylvania had a billion-dollar deficit in its budget. Though it was thought that iPoker would generate $400 million in revenue each year (and significant tax revenue), the bill was never passed by the full legislature. Sheldon Adelson, the chief opponent of online gambling in the United States, had the state's leading casino at the time, so the influence of his political action committee (CSIG) was great in the state. Adelson sold Bethlehem Sands to MGM Resorts, so the hope is Pennsylvania online poker might be made legal in the near future. California online poker looked as if it would be legalized at one point, but that did not happen. The Pechanga and Agua Caliente tribes led a large coalition of Native American tribal gaming groups in opposition of several bills which would have allowed PokerStars to operate in the licensed online poker industry. Those tribes believed PokerStars was a "bad actor" and wanted them banned from California iPoker. The Morongo and San Manuel tribes supported PokerStars, because they had a contract to partner with them. 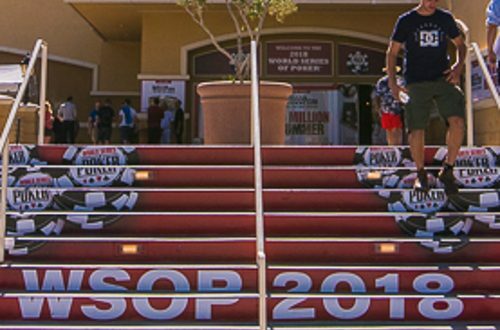 The San Manuel just announced they were withdrawing support for PokerStars, so online poker might one day be legal in California, but without PokerStars. In the rest of the United States, online poker is either banned or unregulated. States like Hawaii and Utah have a 100% ban on gambling. States like Massachusetts, New York, Illinois, and Washington have discussed legalizing Internet poker in their states. Meanwhile, Sheldon Adelson continues to support Restore America's Wire Act, which would ban online gambling in all 50 states. It is legal to play online poker in the United Kingdom. In many ways, the UK is the leading regulated online gambling market in the world. The UK Gambling Commission allows residents to gamble on poker, casino games, and sporting events online. Operators have to pay a Point-of-Consumption tax which they grumble about, but everything is legal if the UK Gambling Commission approves play. Many of the leading licensing authorities in the world in the Internet Age once were part of the British Empire. Some of those jurisdictions are British Overseas Territories or remain a part of the Commonwealth of Nations. Several are part of the European Union, though their EU status in the wake of the Brexit vote remains in doubt. Gaming jurisdictions like Gibraltar, Malta, The Isle of Man, Alderney, and Antigua & Barbuda fall under that heading. Because the United Kingdom is a heavily regulated online poker market, players have many responsible gaming tools which do not exist in other regions. Gamblers even have the option to play for real money on social gaming sites in a limited capacity, which is not an option virtually anywhere else. Most of the top UK poker sites are listed on the London Stock Exchange. Online and mobile poker brands like 888poker, PartyPoker, William Hill, Ladbrokes, and Bet365 Poker have close ties to the United Kingdom. Are Poker Sites Legal if I Live in Australia? For the past 16 years, online poker was legal in Australia under the auspices of the Interactive Gaming Act 2001. The 2001 version of the IGA was confusing and had loopholes, so politicians claimed online poker was banned. At the same time, all of the major operators were active in the Australian online poker market. Aussie gaming executives and lawmakers might decry the unregulated offshore operators, but they were allowed to register Aussie poker players without interference. For their part, Australia-based gambling sites could sign up foreign poker players, beyond the reach of regulators in those countries. The system seemed to work. In November 2016, the Australian national parliament passed the Interactive Gambling Amendment Bill 2016, supposedly to close loopholes in the online poker laws. Once again in March 2017, the Australian federal parliament tweaked the Interactive Gambling Amendment Bill 2016 and claim to have banned online poker, along with in-play betting in the mobile sports betting industry. Experts seem to think the new bill will not have any effect on Australian online poker players than the previous laws. Liberal Democrat Party Senator David Leyonhjelm said of the latest changes to the online poker laws, "If you want to play poker, there are lots of opportunities in Australia, at casinos and tournaments. It's not as if there isn't a great deal of poker playing already, but they're just stopping it online. The whole world is online now." Despite what Sen. Leyonhjelm said, online poker is banned under the IGA Bill 2016 and its 2017 amendment. Players gamble online in an unregulated environment. It should be noted that no online poker player has ever been charged with a crime for engaging in their hobby by an Australian law enforcement agency. That does not mean it will not happen in the future, so be certain of the gaming laws in your state or territory before playing online. Most laws are aimed at the gaming operators and not the players, though. What About Europe? Are Poker Sites Legal? Europe is a mixed bag. The European Union is a 28-nation coalition of countries aligned for economic reasons. The European Union does not set specific online gambling laws, but requires member nations to institute the same policies for international business operators that they set for domestic businesses. Therefore, if an EU countries bans online poker for international card sites, then it must ban its own domestic poker sites from accepting players. If an EU country allows its own homegrown online poker operators to accept players, then it must allow international operators to do the same. In the past, Sweden, Greece, and Germany have been accused of giving domestic operators an advantage and the EU Commission has censured countries for doing so. All of that is to say that individual countries have the right to make their own poker laws. At the moment, France has a ban on online gambling, while Germany bans many online gambling activities. At the same time, Spain and Italy have moved towards more liberal online gambling policies. Many top operators are legal and licensed for online poker in Italy and Spain; more are likely to follow. Other EU countries, like the Netherlands, Belgium, and the Czech Republic, have moved towards legalization and regulation. Of course, Europe consists of 50 nations in all, so EU member policies are not the entire picture. Baltic Republics like Estonia and Latvia are hubs of the online gambling industry, housing software design companies or helping top foreign software companies like Playtech and Microgaming maintain live studios. At the same time, those countries ban their own residents from many forms of gambling online. Romania has opened up its online poker, but in a very selective fashion. Other countries, like Turkey and Ukraine, maintain a strict ban. The Russian Federation traditionally has allowed online poker, but it has begun to pass more restrictive laws in the past few years. One Russian government agency now has a blacklist of domestic and foreign online gambling sites, including a number of prominent UK and Gibraltar poker sites. What is the UIGEA and How Did it Impact Online Poker? Many poker players who remember the ‘boom years’ prior to 2006 feel cheated. This is because the ‘Unlawful Internet Gambling Enforcement Act’ (or UIGEA) was not debated and passed as a stand-alone piece of legislation. Instead it was added at the last minute to an act on port safety. Since voting against an act relating to national security would have been ‘political suicide’, that act passed – and the UIGEA became law. Feeling cheated and protests through the ‘Poker Players Alliance’ did nothing to help, and more than a decade later, this piece of US poker legislation is still in place. While the press went to town on the fact that this made playing online poker illegal, this is incorrect. The UIGEA only makes it illegal for banks to knowingly transact with online poker sites, and for the gambling site operators to accept those transfers. Individual players are not even mentioned, let alone made illegal. The effect of this legislation was that the major sites of the day pulled out of the US completely. Party Poker, 888 Poker and the MicroGaming Network were 3 huge sites that immediately terminated their involvement with the US. An unforeseen development was that there were plenty of offshore and privately owned poker sites which were ready to step in and fill the gap. The UIGEA was not the end of online poker, it was the start of a second wave. What Does Black Friday Mean in the World of Poker? On Friday the 15th of April 2011, poker players at the biggest sites of the day, PokerStars, Full Tilt Poker and Ultimate Bet, found that the domains of these sites had been taken over by the Federal authorities. This day would become known as ‘Black Friday’. Indictments of the site owners followed, and the new wave of online poker was brought crashing down for US players. When Ultimate Bet, Absolute Poker and Full Tilt Poker shut down many players lost their bankrolls - and many online pros lost their livelihoods. Some of those bankrolls were returned, via the Feds, though many were not. Only PokerStars was big enough internationally to survive Black Friday. Several years later they bought Full Tilt. Poker sites which welcome US players still exist, and in the case of Ignition Poker, America’s Cardroom and BetOnline Poker, they are doing well. Bitcoin has grown to be a popular deposit option, neatly side-stepping the banking restrictions that the UIGEA still controls. 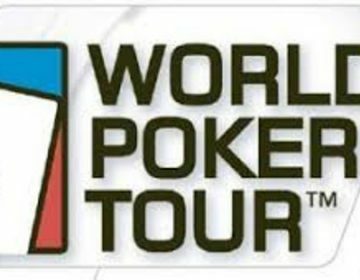 One Caribbean nation, Antigua, has an ongoing dispute with the US concerning online poker via the World Trade Organization. They maintain that by restricting resident’s ability to enjoy online poker games, the US is violating free trade laws. This is disputed, and has been ongoing for many years. A ruling that the Wire Act of 1961 only applies to sports bets has opened the door for individual states to allow online poker. New Jersey, Nevada and Delaware all have state-regulated online poker rooms. In the case of Nevada and Delaware, player pools are shared between them. Geo-location technology and Id checks ensure that only people physically located in these States can enjoy the games. Despite early enthusiasm, the success of these sites has been rather limited. It is hoped that as more states pass legislation, players can be shared creating bigger pools (and so more choice, bigger tournaments and so on). US poker sites have an enemy! This is the owner of Sands Corporation, Sheldon Adelson. This billionaire is finding a campaign to reverse the decision of the NY attorney general on the Wire Act, and to completely ban all forms of online gambling. While he has some supporters, the states are currently asserting their right to determine their own policy in this area. A $5 million gift for the inauguration of President Trump has many people worried that a deal could be in the works. If there is one thing more than 10 years of legislation has shown us, it is that US players that lovepoker will find a way to play – regardless of whatever the government throws at them. What If I Encounter a Problem Depositing Money? While European poker sites enjoy much bigger numbers, US sites are growing. All of the sites listed above have reasonable traffic levels. If you're looking for poker sites with lots of easy to beat players, be sure to check out our page dedicated to easy poker sites.